Welcome to Day 3 of the Big Brand Challenge. Today we're going to work on creating or updating your logo. First, let's review the elements of a great logo! In Day 1 and 2 of the challenge, you laid the foundation for your brand. On Day 1 we defined who you are, on Day 2 we defined what you look like. Now it’s time to bring it to life with your logo. Then you can move on to Day 4: Outlining your essential marketing materials, and the final day, Day 5: preparing for liftoff. Once you’ve finished with the entire 5 Day challenge, you will need to submit your “before and after story” to Brand Genie. 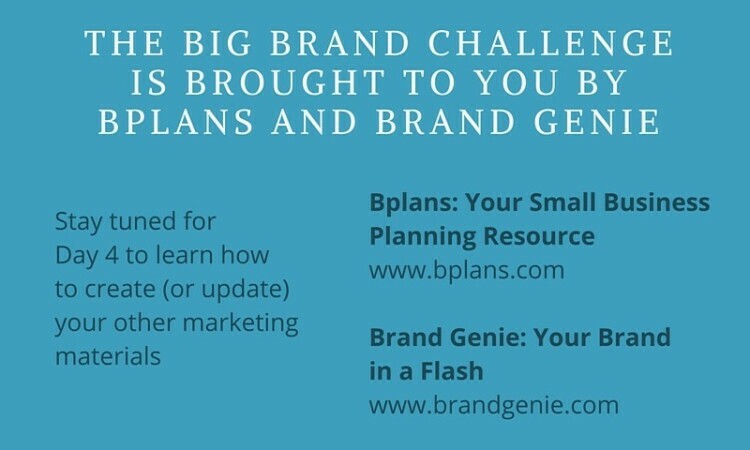 Download the 2-page PDF version of Day 3 of the Big Brand Challenge. You can also skip to the end of this article if you want the embed code to place the infographic on your own site. We see way too many small businesses with crazy complicated logos. The best logos are usually simple, simple, simple. In fact, some of the world’s leading brands (think Coca-Cola, Ray-Ban, IBM) just stick with stylized type. If you do add a symbol, it does not have to mimic what you do. Mercedes doesn’t have a car. Amazon doesn’t have a book. Nike doesn’t have a shoe. Your logo does have to convey the spirit of your brand and speak to your target customer. Your logo needs to fit well in all kinds of spaces. It should be legible in sizes ranging from about an inch to a full billboard. It should be clear in black and white. You need your logo in an assortment of file types to look good online and offline. Make sure you have the “vector” file in case you want to make changes to your logo (usually EPS or PDF file). For your website you will usually want to use a PNG file, for Facebook or most places you would use a photo (a JPG), and for print probably a PDF. Look at what’s out there, particularly in your space. Make sure that your logo stands out from your competition. It doesn’t have to be flashy (remember, simple is usually best), but it does have to be different and recognizable in your marketplace. Even as a small business, it’s good to protect your logo. At a minimum, do extensive searches for similar business names and marks before you start using them. Buy the URL matching your name. If it’s not available, who has it? Check with the U.S. Patent and Trademark Office to see if anyone has trademarked your name. Hire a lawyer to do an official check for you and, if it’s available, consider applying for the trademark. You could pay tens of thousands (big companies pay millions) to an agency to help you. But if you’re a typical small business, those numbers are out of reach. Instead, check out these resources. You can find these guys online and offline. Friends of friends. Fiverr, eLance, and CraigsList among other resources. You will probably pay hourly. Make sure to start with your brand guide. This will cut down the amount of time required to get to the heart of who you are, and how to design your logo. The benefits of hiring a freelancer include having someone to work closely with to create your vision. The downside is that you don’t see what you’re going to get upfront, the quality can be spotty, and sometimes the prices high. This can be a more affordable option—best if you feel comfortable being your own creative director. You may get hundreds of options from designers around the world. You will need to curate them. Do you have a designer’s eye? If so, this could be the route for you. Check 99 Designs, CrowdSource, and others. These are usually the most affordable options. Some are created by world class designers for you. Others seem leftover from 80’s clipart. A major benefit is that you see what you’re buying upfront and the logos are usually available for immediate download. 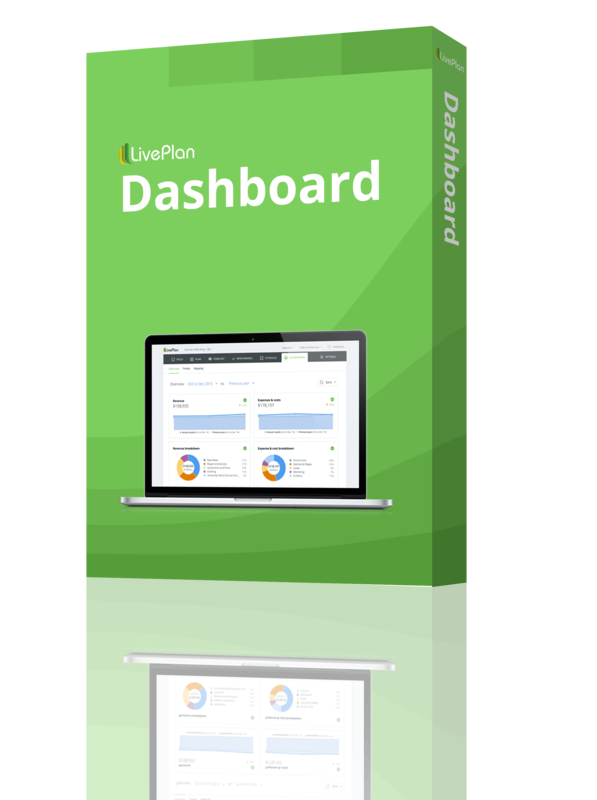 Check out Brand Genie, Logaster, SquareSpace, and Vistaprint. Remember that your logo is just one element of your brand identity. Stay tuned for Day 4 of the Big Brand Challenge to learn how to create (or update) your other marketing materials. Did you successfully complete Day 3? Let everybody know! I just completed Day 3 of the @bplans @prestoboxit #BigBrandChallenge. Wahoo! Stay tuned for Day 4 of the Big Brand Challenge to see how you can instantly convey who you are to the world. Visit “Brand Yourself” for more information on branding your business.